Sam and I rolled out of our bunks in the hut and into the cold mountain air at 5:00 AM this morning. 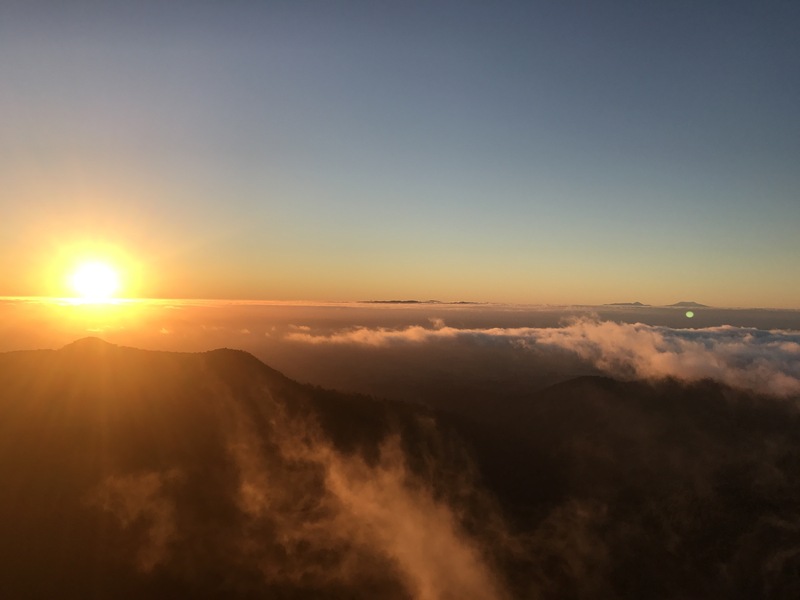 Last night we decided we’d wake up dark and early to see the sunrise from the Pirongia Summit 30 minutes back up the trail. The little trip was well worth it. We walked the trail in the dark, using our headlamps to navigate our way up the mud-soaked mountainside. 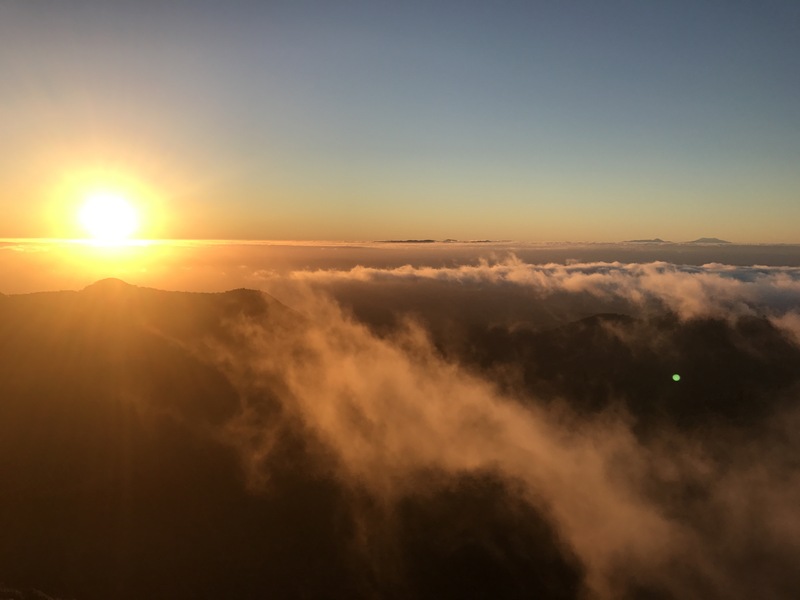 We got to the summit with 15 minutes before sunrise which we spent eating our breakfast and taking plenty of pictures. The sunrise was as epic as we had hoped. Fast tangles of cloud flew their way through the cradle of mountains below us, backlit by the increasing sunlight. We remarked at how each cloud resembled a unique breed of dragon, some slow and large, others quick and small with sharp and dangling talons. About 15 minutes after the sun rose, we headed back down toward the hut to start out travel day with Shep and Jack. It was tough saying bye to Pahautea Hut, where we spent a warm and breezy quarter-day eating and reading high in the hills. First we headed up to the Hihikiwi peak where we caught a great where we caught a great view of the mountain range from a new angle. The climb down Pirongia was as steep as the way up, with plenty of climbs back up built in. After about 6 km we hit the beautiful gravel back road. Shep and I pulled out our Kindles and caught up on some reading while we walked the road. 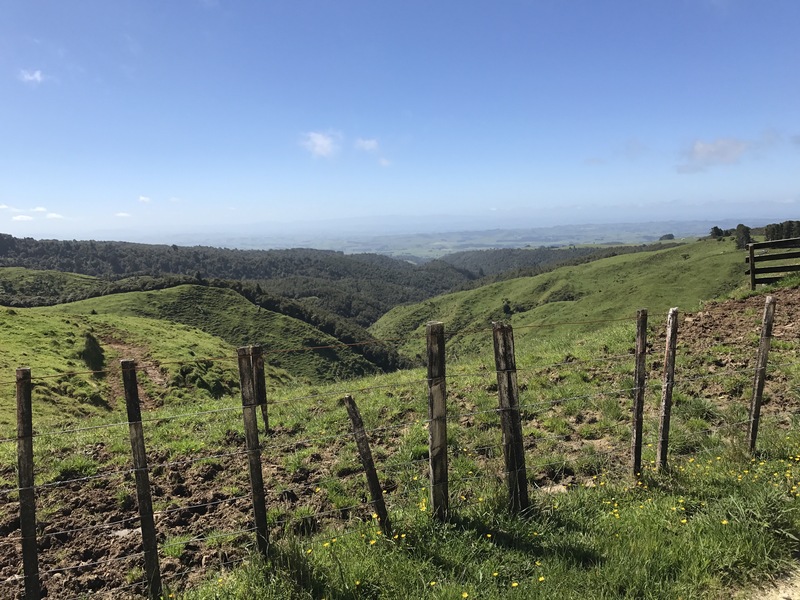 We spent the rest of our day walking beautiful farm track, climbing up into some gorgeous hills, from which we could see both the ocean to the west, and vast farmland and the extinct Volcano Kakepuku to our east. 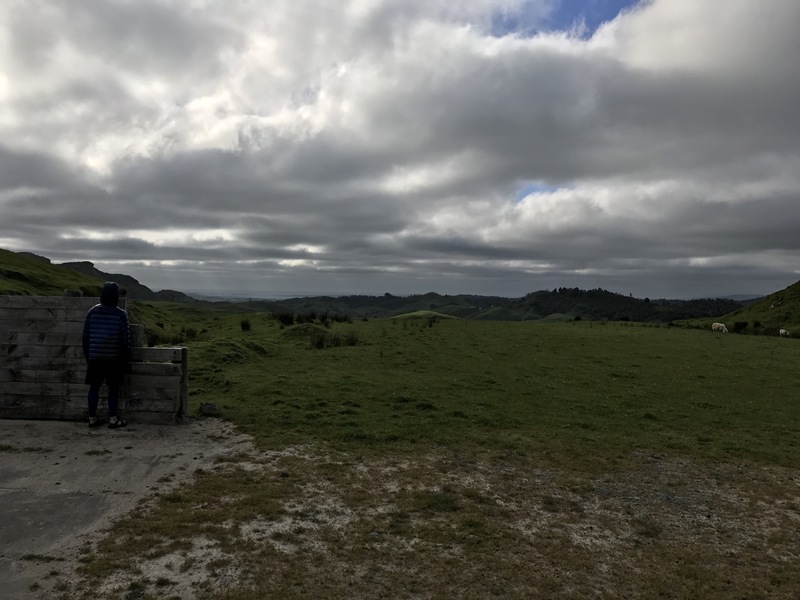 We arrived at an old rural airstrip at around 3:00 in the afternoon, and decided it was a perfect place to camp, leaving us only 24 km to travel into Waitomo tomorrow. We rested up in the wind and sun, hushed into relaxation by an orchestra of sheep and cow noises. We set up our tents to stand firmly against the natural hill wind tunnel before hunkering down in the wooden frame of an old cargo shed to cook a big dinner. 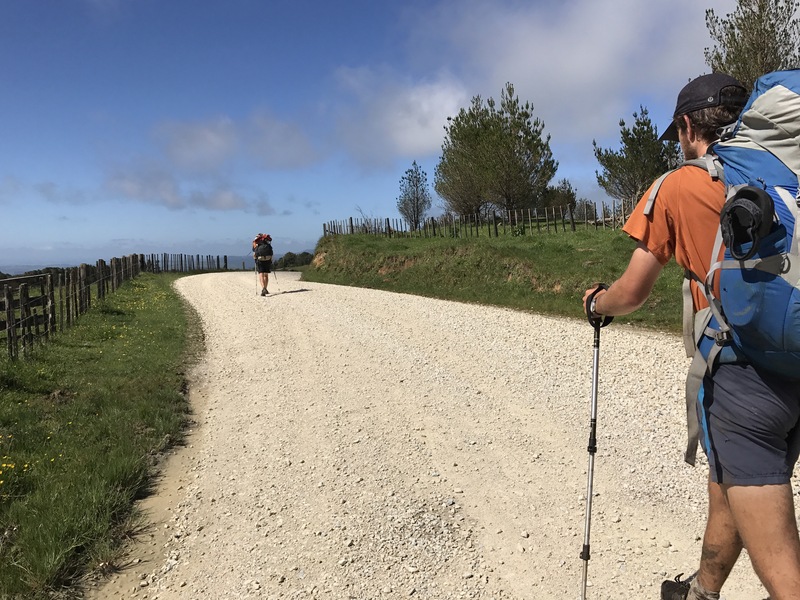 We laughed at realizing we had carried an onion, garlic, carrots, and green beans up and over Mount Pirongia, by no means a lightweight adventure. 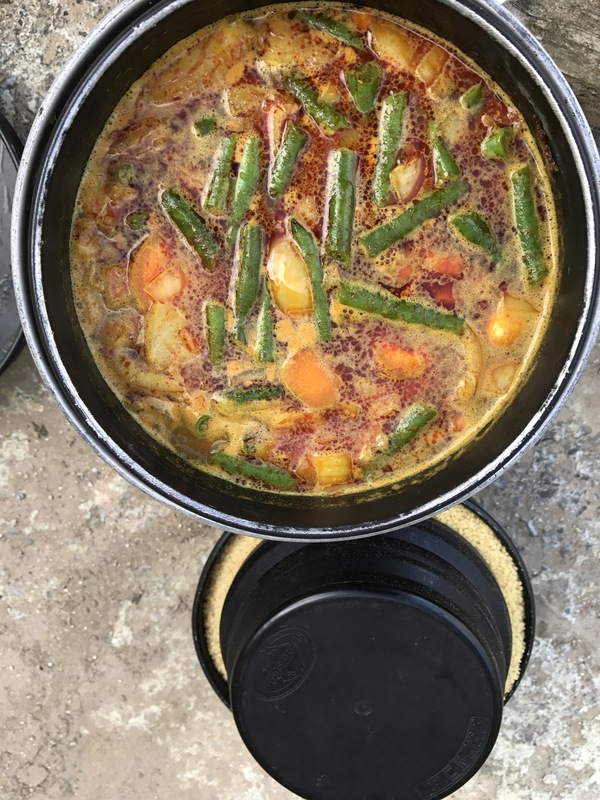 As a result, our dinner was a hearty curry that would, with the help of the nighttime wind, lull us to sleep. After a round of Hearts in the MSR tent, we are ready to crash for the night, looking forward to an early wakeup and travel into Waitomo. We look forward to heading through Te Kuiti on our way toward the Pureora Range. 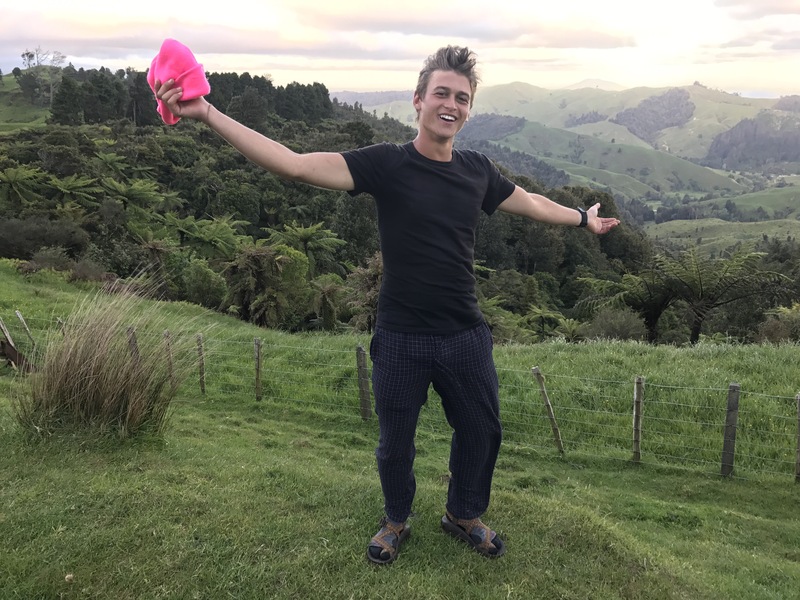 Hi, I’m Grant, a kiwi who has been in Australia for 8 years. I really like your blog, I read every day of it. While I am very impressed with your photos and the way that you write, I am even more impressed with you four young men. What a terrific thing you have done to have the courage and foresight to take on the TA. You will learn so much from this trip and in ways that can only be appreciated in the years ahead. This trip will set you up for the rest of your lives. As well as having a great time, you will make better decisions in life as a result of this trip. I have done parts of the TA myself (but only by chance), mainly the upper parts of the South Island (The Mount Richmond Range, Nelson Lakes and Harper Pass……you will love those parts of the TA). Anyway, keep going and well done guys. I am so glad you had beautiful days for Pirongia. For us and so many I know Pirongia was one big grey cloud with a lot of wind. Your pictures are fantastic.